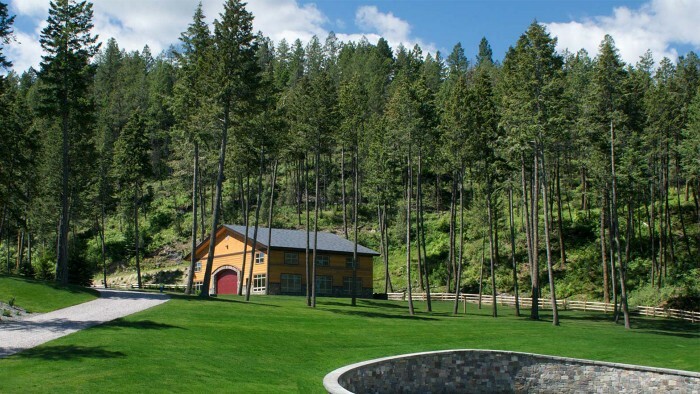 Great Northern Heating & Air knew they would face a large market shift when they decided to relocate their business from the Twin Cities area to Northwest Montana. Not only would they need to rebuild their customer base from the ground up, but they would have to market to a demographic with a much different way of life than their previous customers. 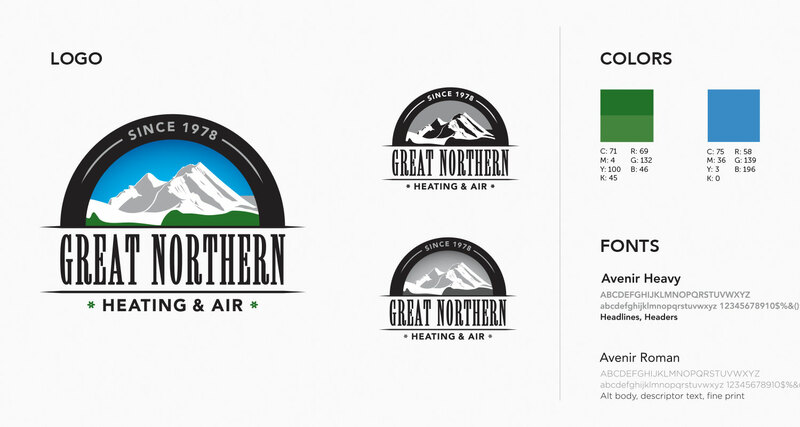 Our first step to building the new Great Northern Heating & Air brand was, therefore, to spend time evaluating where Great Northern Heating & Air services and products would fit in the current market space, who they would be marketing to, and how they could make a name for themselves right from the start. 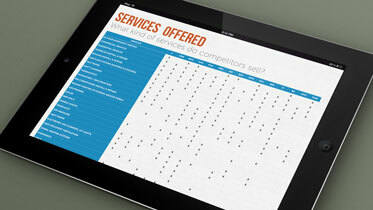 Our first step was to evaluate their current competitors. We looked at things such as their market penetration, marketing strategies and campaigns, what demographics they were reaching out to and through what media, and even their level of participation in community events (which is a strong influencing factor for demographics in this region). 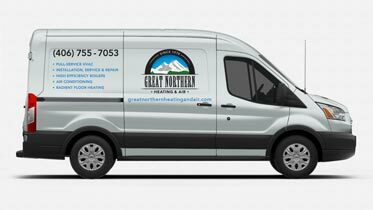 Through this work we were able to identify specific market segments that were severely underserved, and ones where Great Northern Heating & Air could easily make a name for themselves. 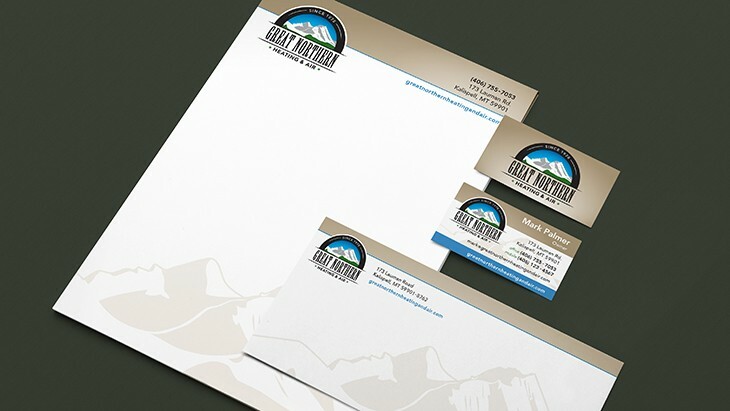 We also detailed out fictitious representations of the demographics that we believed would be best served by the client. We identified their lifestyle choices, average statistical information (such as income, family size, house size, etc), communication preferences, and anticipated objections to switching from their current heating and air service company. 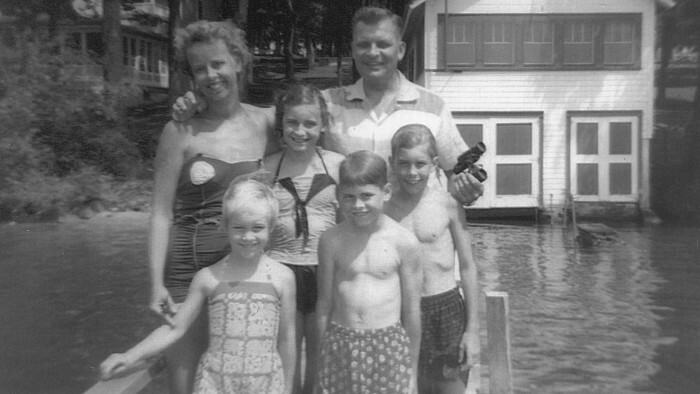 All of this information culminated in a market research document that included not only the information above, but outlined an overall marketing strategy that would reach the specific demographics, covered the service and product topics that had the most potential for response, and proactive addressed their objections to switching providers. This document would be a keystone reference for all future marketing campaigns - making sure they aligned with the opportunities that we had identified. 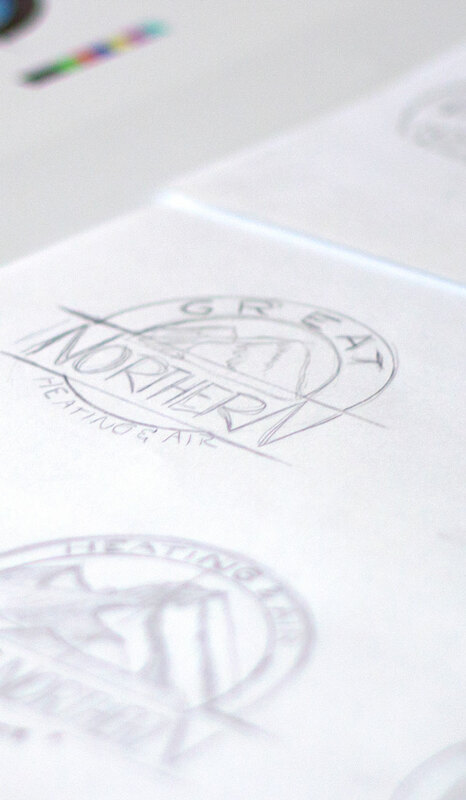 The market research document also drove our design decisions while creating the actual logo/brand that would represent Great Northern Heating & Air. 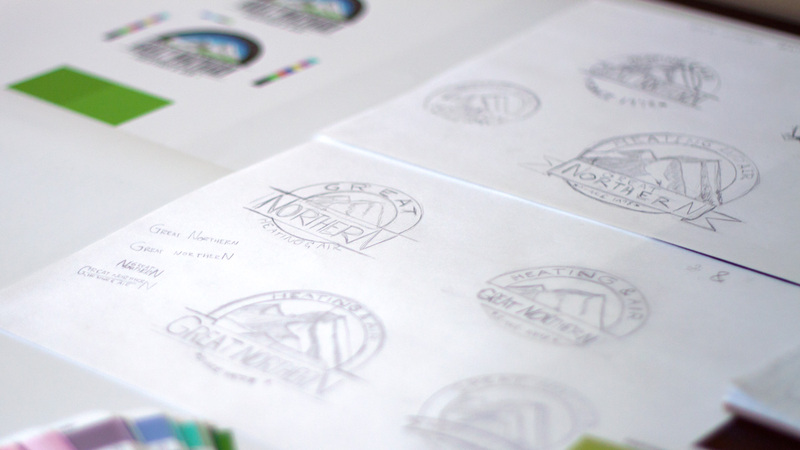 We made iconography, font, color and slogan choices that were direct responses to our discoveries, such as making sure the logo reflected the heritage and beauty of Northwest Montana - a large reason why people choose to live, work and play in the area. We compiled all of our design decisions into a single brand and style guide that, combined with the market research document, would ensure all design work would remain consistent and on brand. 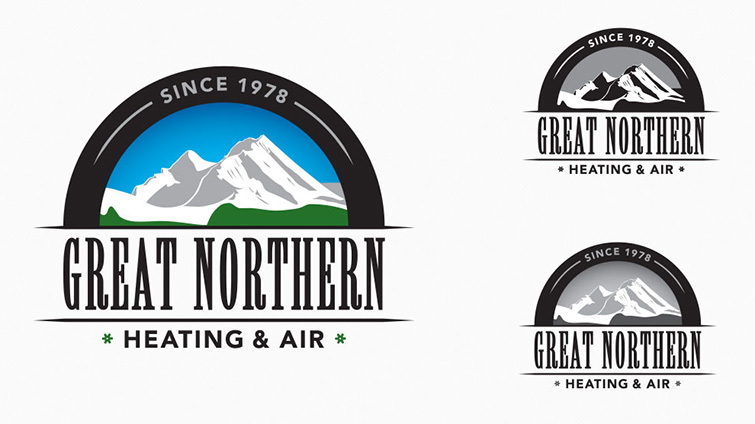 In the end, we settled on a sophisticated brand that not only harkened to the hard working nature of the residents of the area, but also portrayed Great Northern Heating & Air as being a modern, forward thinking business that took great pride in their work. 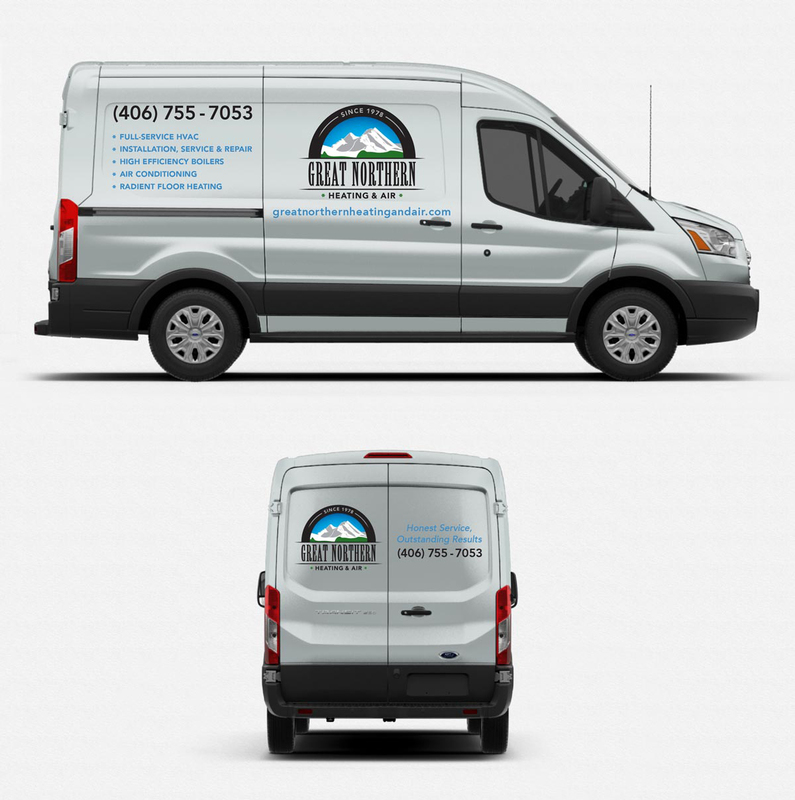 After seeing how our work consistently led to a better understanding of their business and marketing strategies, Great Northern Heating & Air has expanded our efforts to also include a complete business launch strategy, which will include information such as networking, advertising and sponsorship opportunities, event planning, and budget forecasting. We will then also put together a year long marketing plan, including detailed cost breakdowns and timelines for efforts such as direct mail and email campaigns, search engine marketing, social media, radio, print and television advertising, a client referral and rewards program, and relationship building with other local business to cross promote services and products (such as a local bank for financing needs, and hardware store for equipment).